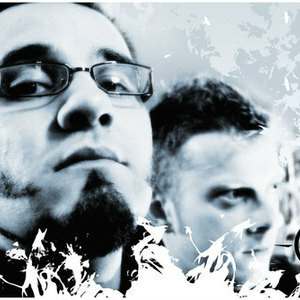 Since 2002 the both protagonists of Dresden, Germany, J.P. and Nick working together on different styles of music. At the beginning a hobby, it developed more and more to an intensive partnership. Already, a short time after their first meeting the E.P. ?Follow me? was published. Actually it was only known for insiders but was sold out completly whether it was produced in a bad quality. J.P.
worked on musical styles long time ago and so existing instrumental tracks were changed into songs with a voice. These songs found a place on the later released cd "Not ordinary". Unfortunatly, this it's sold out, too. During the time a lot of friendly joint ventures developed between Legacy of Music and other artists. For the Single ?Strong enough? already known artists like Armageddon Dildos or Absurd Minds worked on remixes. The work ended in the album called ?Beyond all Bounderies? that was picked with catchy melodies, elements known from EBM, Synthie- and Future-Pop, combined with melodical singing. LOM built a new stylistic product called ?electro future dance?. A development in contents and in music were the main tasks working on the new release "[uni]form". LEGACY OF MUSIC made it. With cluboriented and catchy songs LOM show their qualities in the melodical Futurepopgenre. Against all known styles in music LOM did an atmospherical, tight and intensive work with the help of their producer Tilo Ladwig (ABSURD MINDS). Fantastic chartpositions on the biggest european musicnetwork MP3.de show sucess. A lot of songs of LEGACY OF MUSIC were voted for position 1 and stayed there several weeks. Also a lot of nominees for the song of the day show the acceptance of LOMs formed direction.